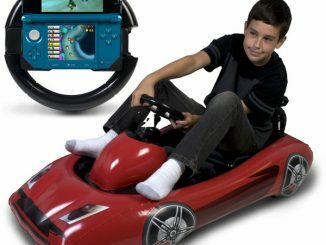 Are you looking for some Mario Kart action that involves something other than the Nintendo Wii system? 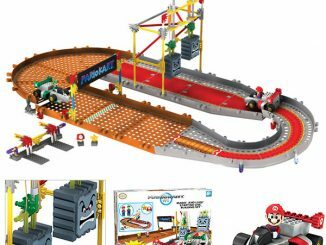 How about the K’NEX Mario Kart Wii Building Sets? 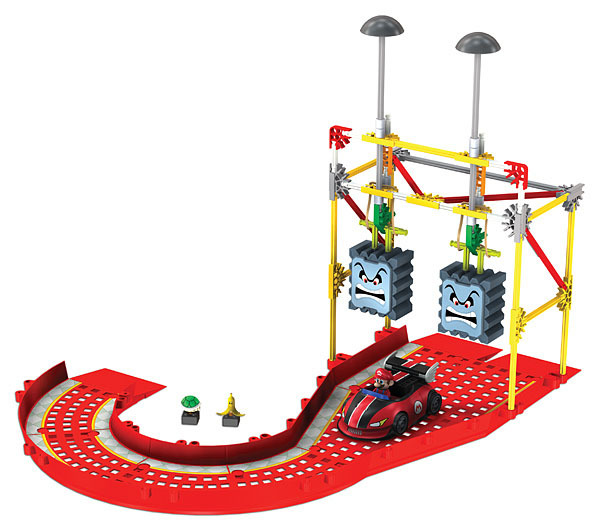 With these cool sets, you get to build the track that you are going to race your battery powered kart on and you can even combine tracks and karts to increase the fun. Bring friends over and see if it’s Mario, Luigi, or Yoshi that is going to save the day. With the Goombas and Thwombs tracks, you can add another great element to your racing fun and see if Mario still has what it takes to save the day! There is no limit to how much fun you can have with K’NEX Mario Kart Wii Building Sets. Just keeping adding pieces to the track to make it longer and change the design by adding new obstacles. 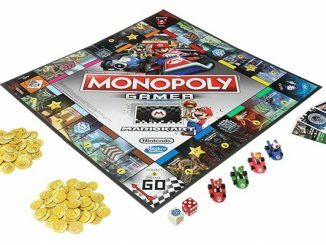 These sets will keep you and your friends occupied for hours as you try to decide who the Kart champion really is. Anyone see the Princess? 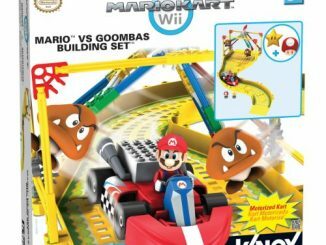 Mario vs. Goombas Track – The set includes the parts to build Mario, a Standard Kart with a super-fast battery-powered motor, a Goomba obstacle and 2 collectible items from the game: a Mushroom and a Star! Also includes 6 pieces of buildable, interconnectable track. 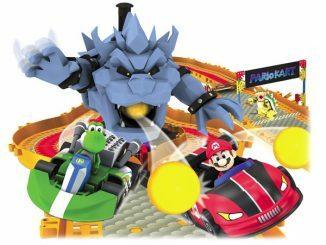 Mario vs. Thwomps Track – The set includes the parts to build Mario, a Wild Wing Kart with a super-fast battery-powered motor, a Thwomp obstacle and 2 collectible items from the game: a Green Turtle Shell and a Banana Peel! Also includes 6 pieces of buildable, interconnectable track. 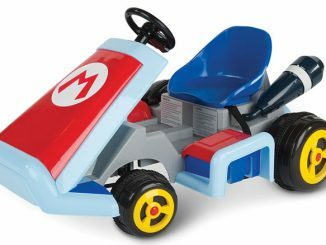 Mario with Standard Kart – Includes a buildable Mario figure, a banana peel item, plus a pull-back motor and K’NEX pieces to build his standard kart, exactly like in the game. Mario with Standard Bike – Includes a buildable, Mario figure and K’NEX rods, connectors and bricks to build his Standard Bike, exactly like in the game. You can also use the package as a ramp when you’re done building! 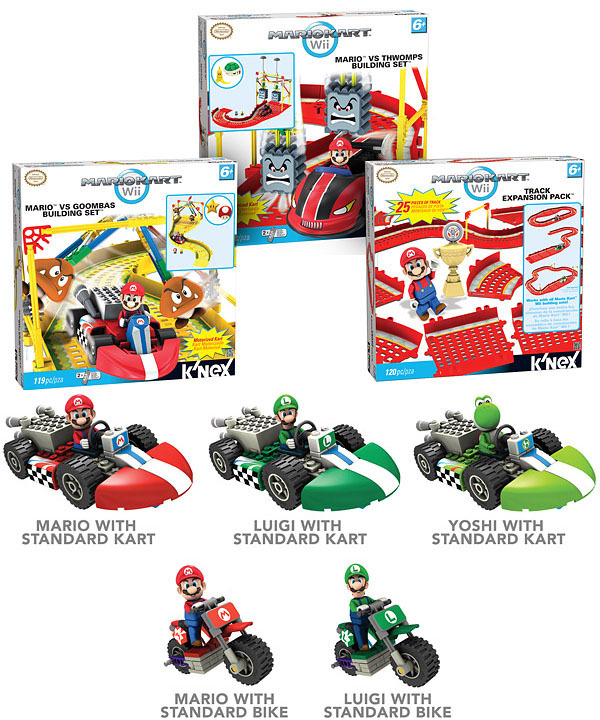 Luigi with Standard Kart – Includes a buildable Luigi figure, a star item, plus a pull-back motor and K’NEX pieces to build his standard kart, exactly like in the game. Luigi with Standard Bike – Includes a buildable, Luigi figure and K’NEX rods, connectors and bricks to build his Standard Bike, exactly like in the game. 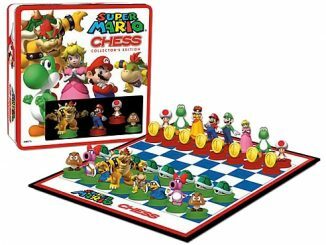 You can purchase the K’NEX Mario Kart Wii Building Sets at ThinkGeek from $7.99 and at other great stores like Target and Toy R Us. 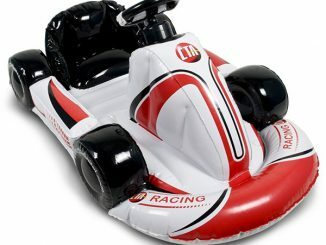 To see all that K’NEX has to offer in way of Mario Kart, click here. 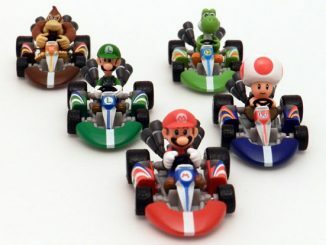 If you need even more Mario Kart action, remember to checkout these items: Mario Kart Slot Car Set, Mario R/C Cars and Super Mario Desktop R/C Cars. This portable 7-inch Nintendo Wii monitor allows you to play your Wii games wherever you are. Simply attach the device to the back of your console. There’s been quite of lot of neat accessories for the Nintendo Wii game console popping up lately, but this has got to be the coolest one so far.